The world all over has embraced the existence of mountains gorillas and would like to conserve their existence through gorilla safaris. On that note therefore, a great number of people travel from all over the world to at-least trek mountain gorillas once in their lifetime. Mountain gorillas are found in Uganda, Rwanda and DR.Congo. 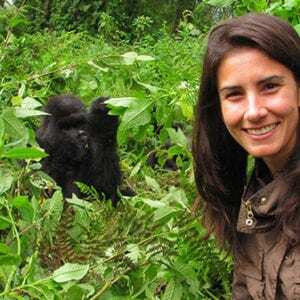 These gentle giant’s existence today is owed to Dian Fossey whose research helped show the world that their existence had been threatened in the 1960s. Mountain gorillas live in groups also referred to as families headed by a silverback gorilla. They are herbivores and mostly feed on shoots and roots. An adult male gorilla can weighs up to about 200kgs. A male gorilla usually starts getting silver or grey hair on its back at 12 years and sometimes, they stay with the family or move away to create a family. A gorilla family usually has between 6 to over 40 members including young males and also female. 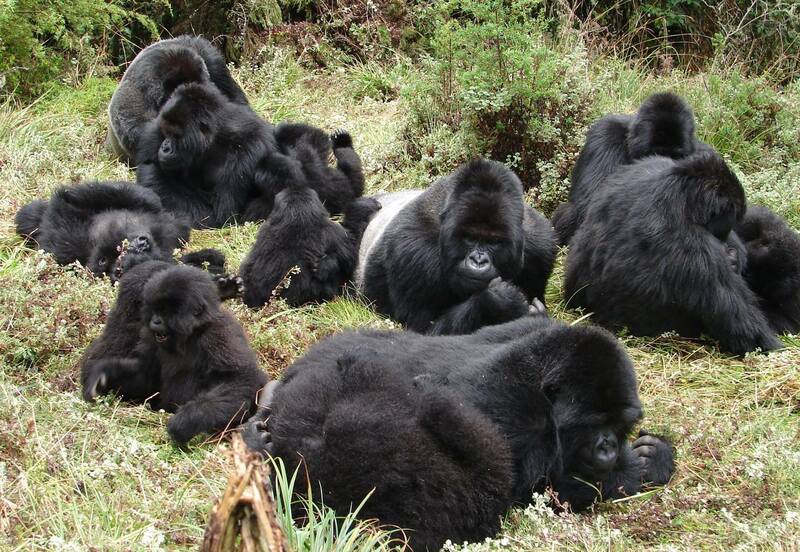 Therefore when it comes to trekking, there is a limit of 8 persons per gorilla family. What do I need to see gorillas? 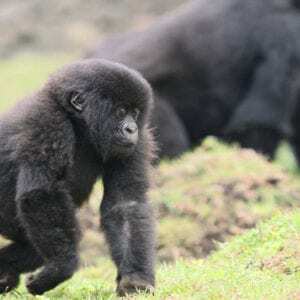 You will need a gorilla trekking permit to see the gorillas and AA Safaris and Tours ltd can help you secure the gorilla permit prior to your trip. Gorilla trekking permits are on high demand and therefore it is always advisable to book them at least 3 months in advance. Please note that the gorilla permit only allow you to trek gorillas but it does not include transfers and accommodation before and after gorilla tracking. Price of gorilla permits in Rwanda. Gorilla permits in Rwanda cost USD 1,500 per permits per day, all year round. This fee comes with a 30% discounts on activity fees in other parks like Nyungwe and Akagera national park. If you wish to track a gorilla family group privately then the fee will be USD 15,000 per group and you get to trek the group just the two of you or just you family if you are 4. 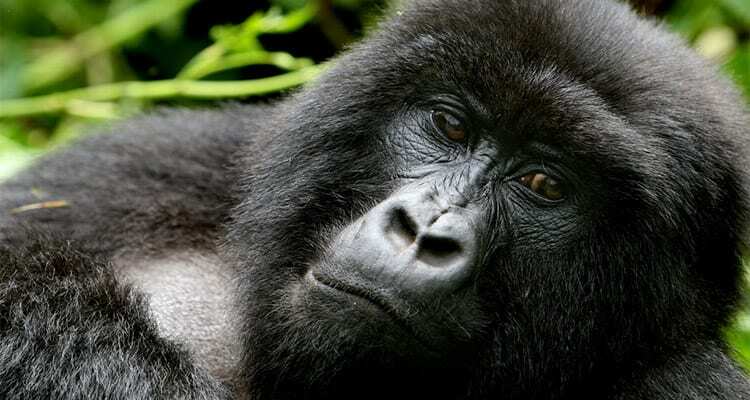 Rwanda gorilla tracking permits are booked an reserved by the Rwanda development board and AA Safaris and tours will secure the gorilla permits on your behalf if you book your gorilla safari holiday with us. In Uganda a gorilla permit costs USD 600 per person and this includes park entrance fees plus the trekking fee. Uganda gorilla permits are sold by the Uganda wildlife authority. You are advised to go through a tour operator to book your gorilla safari permit. Please note that purchasing a gorilla permit does not guarantee that you will clearly see the Mountain Gorillas. There is a 99% chance of seeing them during the trek. If you fail to see them, you can be allowed to trek again the next day. Alternatively, you will be given a 50% refund of the gorilla trekking permit fees. Gorilla permit fees are non-refundable if you cancel before the trip. However, there are cases where by one has a communicable disease that would put the gorillas at risk. Park warden’s reserve the right, to stop you from tracking if you are at risk to infecting gorillas with an infectious disease. Therefore, you are given a 50% refund of the gorilla permit fees. Is there an age limit to gorilla trekking? Yes there is an age limit and the minimum age is 15 and there is no maximum age limit. Although there is no maximum age limit provided you can trek through the forest to search the gorillas. Tourist’s who can’t trek the mountain to see mountain gorillas, can opt to use a stretcher. There is a group of porters, who have stretchers . They use these to carry you up the mountain through the thick forest to see the gorillas at an extra fee. This is another way of giving back to the local communities directly. Please also note that part of the money collected for gorilla trekking goes back to the communities. 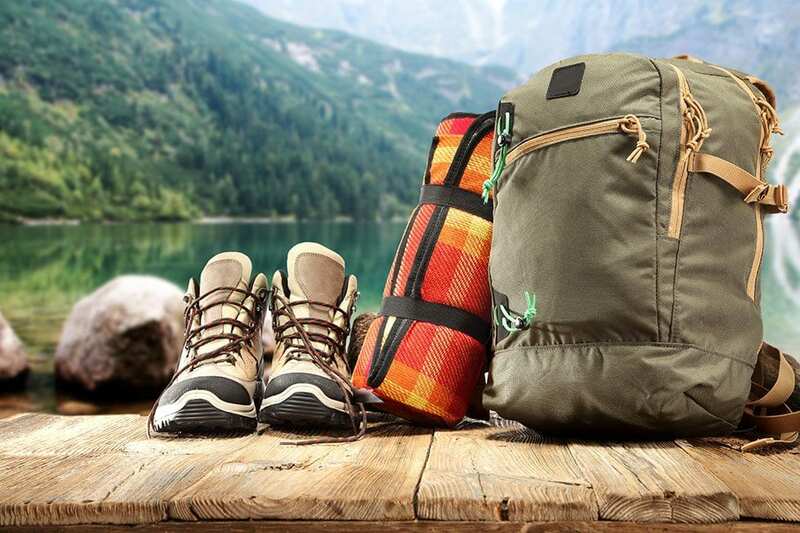 Gorilla trekking rules and guidelines/ What to carry for gorilla safari. Gorilla families habituated for trekking in Uganda. 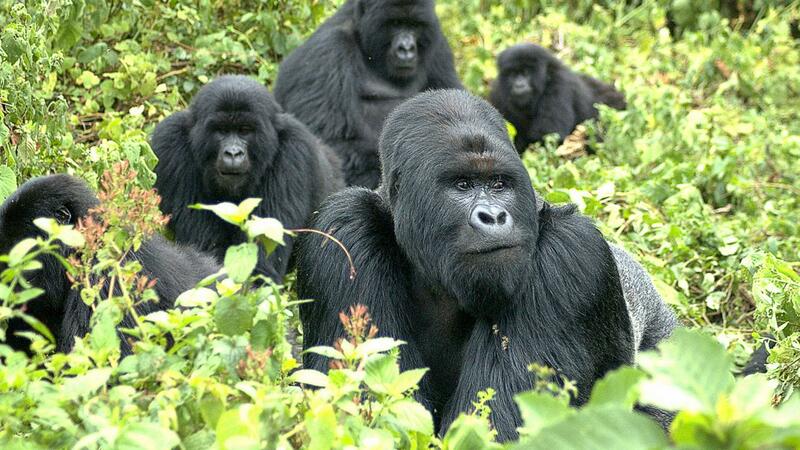 Gorilla groups/families available for gorilla safaris/ gorilla tours and gorilla tracking in Uganda. 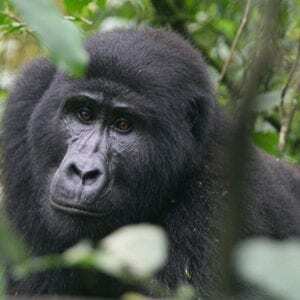 Uganda now has got about 17 different habituated gorilla groups that you can choose from to track if you are planning gorilla safaris in Uganda. You can choose to go for gorilla tracking or gorilla habituation experience. Gorilla tracking and gorilla habituation experience is done in Bwindi Impenetrable National Park. There are 17 gorilla families in Bwindi. Mgahinga national park has one gorilla family available for gorilla safaris. With 17 different families available for trekking this confirm that Uganda has 136 gorilla trekking permits available per day. In Bwindi, these families that are open for gorilla trekking safaris are found in 3 different sections of the park and these gorilla families include; Read more. Gorilla tracking families in Rwanda | Gorilla tracking groups in Volcanoes park. In Rwanda just like Uganda, mountain gorilla tracking is the country’s most popular tourism activity. Gorilla safaris is done in Volcanoes national park. Volcanoes national park shares its forest with Mgahinga national park in Uganda and Virunga national park in Congo. Together this massive forest is a home to about 480 gorillas. Rwanda has a little more than DR.Congo when it comes to number of gorillas habituated. Rwanda has about 10 habituated gorilla families with different number of family members. 8 Tours a day are allowed to visit a particular gorilla family. Each family has a different name with 1 dominant male called a silver back. Although there are cases where a group has more than one alpha male. Rwanda has 80 gorilla trekking permits available daily. To guide you we have listed below gorilla families that you can visit while on a gorilla tracking safari or Rwanda safari ; Read more. This is an option to the usual gorilla safaris/ gorilla tracking that allows you to spend just one hour will the gorillas. However gorilla habituation experience is the process through which a gorilla family is tamed to get used to human presence such that this gorilla group can be tracking during the gorilla safaris. the Gorilla habituation experience is only possible in Uganda and its gorilla permit, costs USD 1,500 and allows you to spend 4 hours with the gorillas. During the process you learn about the characteristics of the gorilla family, the different gorilla individuals and so much more.